Served by the nationally acclaimed Cherry Creek School District, the neighborhoods of southeast Aurora offer excellent community amenities with both new and resale homes available. Residents enjoy easy access to E470, I25, DIA (Denver International Airport), the Denver Tech Center (DTC), Southlands, downtown Denver & Park Meadows Mall. Southlands Mall is a great community hub with summer outdoor concerts & farmer's market and a winter ice skating rink. With proximity to Aurora Reservoir, Cherry Creek Reservoir, and Denver's extensive walking trail system, there are plenty of outdoor activities available. Southeast Aurora covers a wide area with many newer and new build communities. Golfers will enjoy the many public courses available with options to join area clubs as well. The strong reputations of Grandview High and Cherokee Trail High schools make this area a top destination for relocating home buyers. 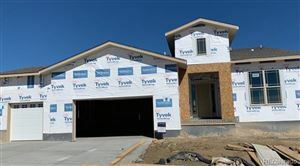 Communities: Saddle Rock Golf, Saddle Rock East, Tallyn's Reach, The Farm at Arapahoe County, Greenfield, Sienna, Wheatlands, Beacon Point, Southshore, Panorama Pointe, Creekside, Tuscany, Blackstone Country Club, Sorrel Ranch, Heritage Eagle Bend, Stage Run, Summer Valley, Rocking Horse & more!